Hoping everyone celebrating Thanksgiving this past week has had a safe, fun, warm and heartfilling (tummy too) day of gathering with family, friends and/or acquaintances! 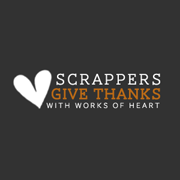 This year, I had the privilege of participating in the project, Scrappers Give Thanks 2012 and I wish to share with you all briefly what it is about if you've not heard of, nor have been a part of one in the past. 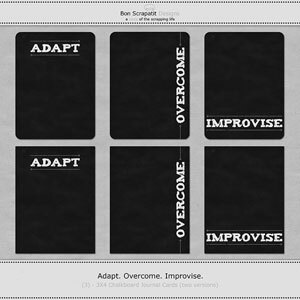 Scrappers Give Thanks is the brain/heart child of the amazing Jennifer Wilson, creator of the website, Simple Scrapper. Each year, around this time of Thanksgiving, this wonderful charitable event comes together within the online scrapbooking community. It is a way for us as an online community of scrapbookers to give to an organization that has been recommended to us and then voted on. Projects in the past have included Operation Write Home and Scrappers Give Thanks 2010. Each highlighted link will give you a description of each project! So heartwarming. This year's project is in the form of a monetary donation with proceeds going to the American Heart Association in memory of a long-time and dearly beloved digital designer in our community who recently passed away, Eva Kipler. There is no default amount to give, although there is a $1 minimum when you enter your amount in the cart. This is a tax-deductible donation. As a thank you for your giving this year, you will receive a collection of scrapbooking tutorials to download from volunteers who have contributed their expertise! You may find the list of each tutorial included in the collection, as well as the full description and directions for donating, here! I am late in presenting this wonderful project with you due to a power outage we experienced on Thanksgiving Day. I had a few technical issues to sort out and I am just happy to be here today to share and to also tell you how thankful I am for each and every one of you! Christmas Day, December 25th, is the last day of giving to this years Scrapper Give Thanks project. 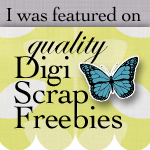 Please do share this with your scrapbooking friends on Facebook, Twitter, etc! Thank you so much for taking time to stop in and I shall be back soon! Ho, ho, ho, ho. Happy, happy y'all!! !